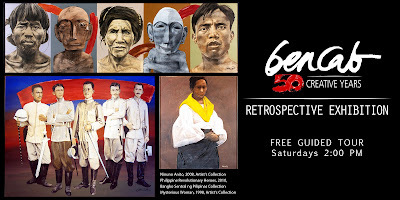 The BenCab: The Filipino Artist retrospective exhibition encapsulates five decades of National Artist Benedicto "BenCab" Cabrera's artistic profession. BenCab references the Filipino sensibility which serves as a focal point in most of his works. Rather than a chronological presentation, the exhibit is curated to open up conversations between the works and the viewers. It features an assemblage of more than a hundred paintings, prints, drawings and sculptures, many of which are on public view for the first time. BenCab: The Filipino Artist is curated by Dannie Alvarez and is part of a series of exhibitions in eight museums marking the Fifty Creative Years of BenCab. 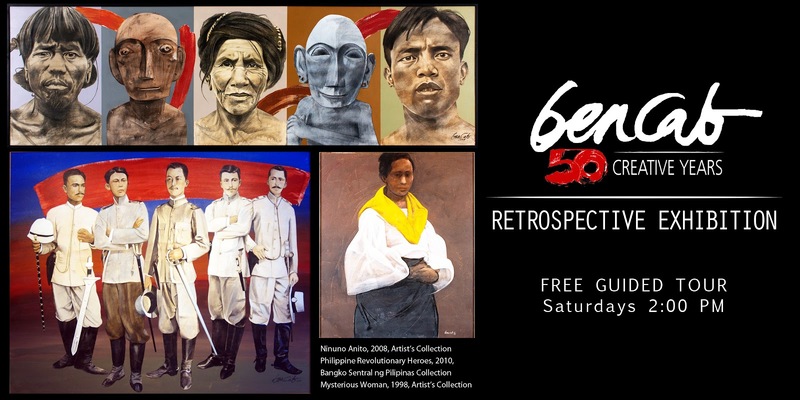 This retrospective exhibition at the Metropolitan Museum of Manila is co-presented by Del Monte Philippines and Nutri Asia, with the generous support of Smart Infinity, Mercedes Benz and Pioneer Insurance.